This small home in the Oakland hills was cosy but cramped- each room was walled off from the next, keeping the lush views of the trees from every window to themselves. By removing walls and enlarging openings, the public half of the house becomes a single flowing space. 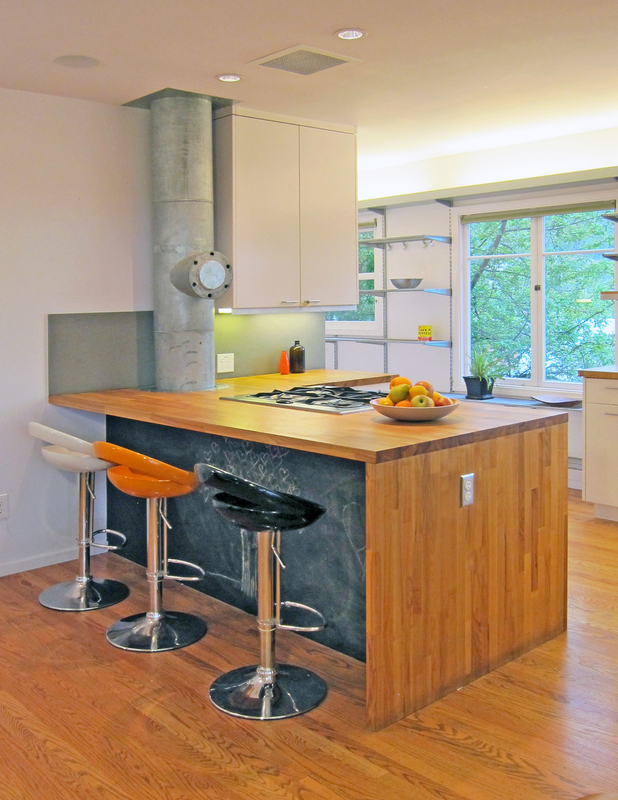 In the new kitchen, an existing heating duct is exposed and celebrated, while butcher block countertops and lacquered cabinets with modern detailing compliment and contrast with the existing home. A formerly dark pantry gets a window, looses a wall, and becomes a light filled connector between kitchen and backyard. As a bonus, vertical slit windows in the master bedroom create views through the new pantry window and into the Oakland hills beyond.